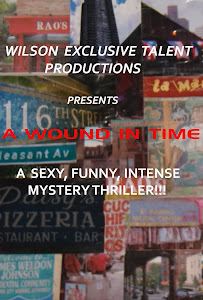 A WOUND IN TIME: MY LATEST PLAY "BLOOD MAKES THE RED RIVER FLOW" WAS A SUCCESS! MY LATEST PLAY "BLOOD MAKES THE RED RIVER FLOW" WAS A SUCCESS! My historical drama inspired by my interviews and filming of the Louisiana Creoles almost seemed like an impossibility up until the first day of performance. But I pushed ahead letting pure love of the arts and the message guide me... It would not have been possible without my wonderful cast and production team. It especially would have been impossible without the support of my dear brother and his wife and Jeneba Charkey and Fred Sequiera! Thanks to all! We have a winner! I am looking forward to presenting this work on the road for Arts Education and the dinner theatre circuit.